Did you know that while more than 70 percent of brands have a strategy for social media, only a third of them test their content? • 57 percent include links to articles. But while businesses are posting all this content, 66 percent of them aren’t testing any of it! The statistics go to show that this is a highly neglected aspect of social media marketing. 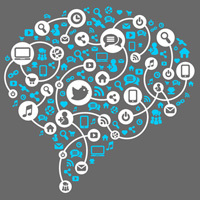 In fact, testing content is one of the most important components of any social media strategy. You can invest time in getting quality content out to potential customers on social media, but what happens afterwards? Don’t just throw content out there and wait. The next step is to research and test how that content performs. Learn more about what performs on different platforms. It’s not one-size-fits-all. What people respond to on Twitter is not necessarily the same as what Facebook users want. You may learn how to better customize content and perhaps focus more on the one or two social networks to which your audience is responding the most. Improve the content you already have. What time and how often you post can make a huge difference in how your audience responds to the quality content you already have. Find out where new customers are coming from. The ultimate goal is always to turn those likes, retweets, and +1s into paying or otherwise engaged customers. Find out where leads are coming from and either increase the kind of content that brought them and/or apply a similar strategy elsewhere. Tracking performance by asking for feedback also benefits your audience. Reaching out lets you know exactly what people like, while also granting them the power and agency to voice their opinions. Creating responsive relationships translates to lasting customers. Use what you’ve got. Many social media platforms already have tools in place to help you track your content. Facebook Insights and Twitter Analytics, for example, are there to help show you what’s working and what isn’t. You will need to use a link-shortener such as ow.ly. Best bet, if you are serious about tracking results, is to use a social media management tool like Sprout Social. Also consider using Hootsuite to schedule and track posts. Ask and respond. In addition to using analytics tools to track numbers, don’t forget to ask for your audience’s real opinions! Engage in conversations with followers and fans. Reach out for and respond to what people ask for or suggest they’d like to see. Genuine feedback from your audience can be equally or even more useful than plain numbers! Set and meet goals. Once you’re keeping your eye on the numbers and feedback, it’s easy to set realistic goals for performance–and keep upping them! Maybe you set a goal for number of followers, likes, or comments on each social network each week or month. Or aim for a certain number of sales or leads from each platform. Aim high! Investing time to test your content will allow you to keep setting social media goals higher. Lee is a computer expert and writer with a background in technical writing, Internet marketing, blogging and website design.